We offer child care for children 6 weeks - 12 years as well as 3-4 year old before and after preschool care. 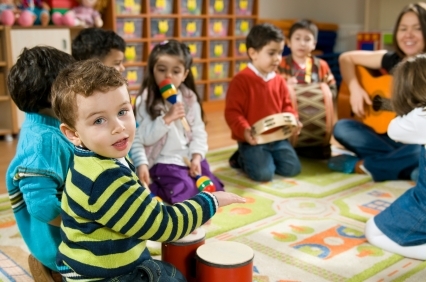 Our infant room is a warm and welcoming environment where your child can learn and explore! Your baby will receive excellent care and attention! Our toddler room is full of fun and exciting things to keep your busy toddler entertained and excited! Preschool parents can take ease in knowing that before and after preschool, your children will be able to walk to daycare! No more worries about transportation! We will expand on what they are learning at preschool and have joyful and meaningful learning experiences! Our Pre-K room will be full of diverse learning to prepare them for Kindergarten! We ensure that your child will advance their academic skills but also their social and emotional skills preparing them for a new an exciting time in their (and your!) life!